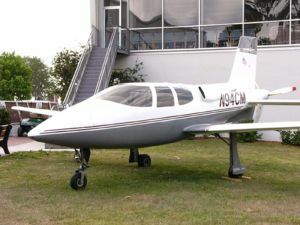 The VK-30 design was conceived in the early 1980s as a kit plane project by three college students, Jeff Viken and Alan Klapmeier from Wisconsin’s Ripon College and Dale Klapmeier who was attending the University of Wisconsin at Stevens Point. Jeff Viken's wife, Sally, designed the VK-30’s flap system. Together they formed Cirrus Design as the company to produce the VK-30. The aircraft was designed to achieve natural laminar flow over the fuselage as well as the wing and tail surfaces to provide a very low-drag design. 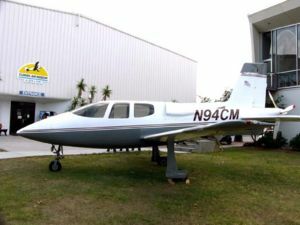 The prototype incorporated some parts from production aircraft, including the nose gear from a Piper Cherokee and the main landing gear from a Lake LA-4. The VK-30 was designed to be a five-seat aircraft from the start, which made it considerably larger than most other amateur-built aircraft of its day. The VK-30 first flew on 11 February 1988 and kit deliveries commenced shortly thereafter. As of May 2005 there were only 13 VK-30s registered with the Federal Aviation Administration in the USA. As a kit aircraft the VK-30 is a relatively obscure design with few completed aircraft flying. Its most important legacy is that the work done on designing and marketing the aircraft convinced the designers that the best way to proceed in the future was with a more conventional layout and with a certified production aircraft. Thus the lessons of the VK-30 were directly responsible for the design of the very successful SR20 and SR22. On the 23rd of March 1996 - Retired Astronaut Robert Overmyer died at age of 59 in the crash of the VK-30 he was testing. This page was last edited on 6 March 2007, at 02:07.